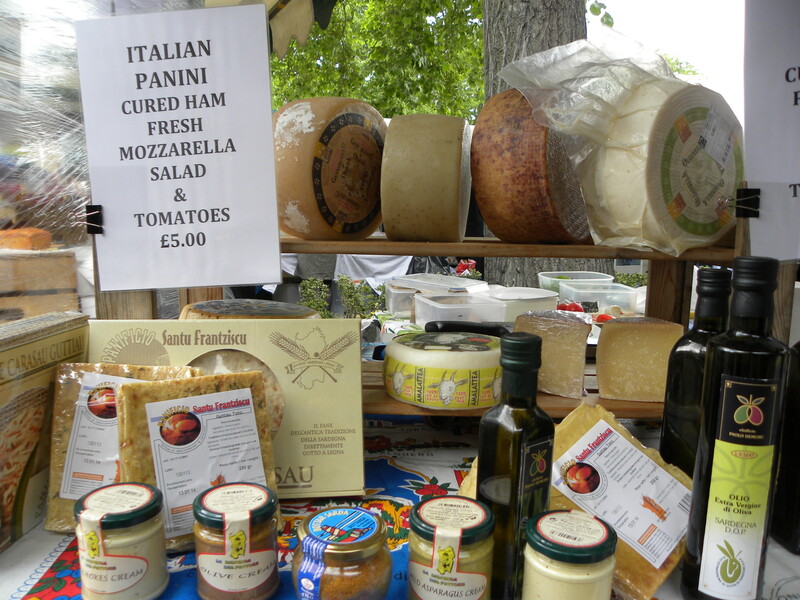 If you’ve yet to spend any time in the charming/luxurious Sloane Square neighborhood I’d suggest venturing over on a Saturday to take full advantage of their tasty Duke of York Square food market just a couple of minutes walk from the tube station. 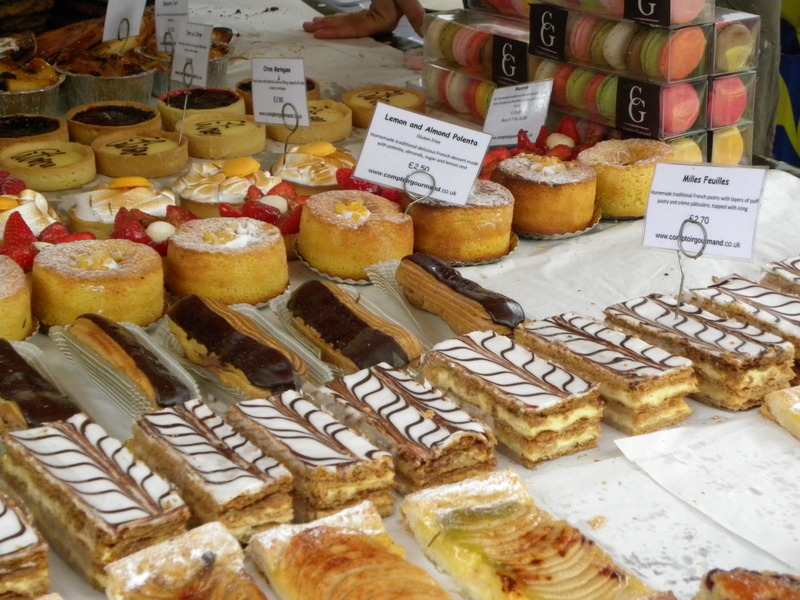 Highlights include the freshly baked patisserie, desserts, breads, cheese and worldly cuisine on offer. Homemade fudge that blew my tastebuds! As usual I wanted to try them all and couldn’t settle on just one flavor so ultimately I decided to go for a bar of chocolate marshmallow, maltesers, and a pistachio bar. Naughty but oh so delicious. 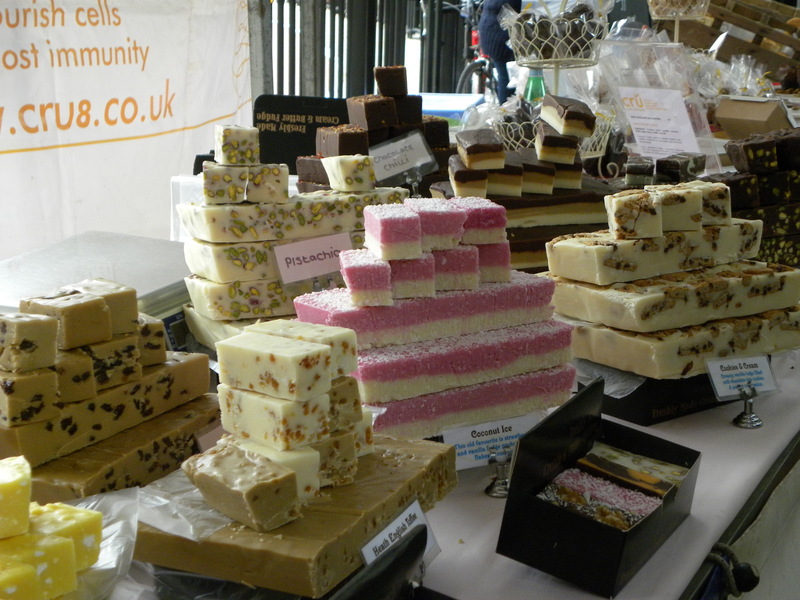 This entry was posted in Dessert, Food, Life style, London, Luxury and tagged Dessert, Duke of York Square Food Market, Food, Life style, London, Luxury, Partridges Food Market, Sloane Square by linneabylinneanilsson. Bookmark the permalink. Ahhh, it all looks delicious! Think much of that food must be melting in the recent heat so it would be an act of humanity to buy and eat before it is inedible! Yes, this is definitely the time to indulge!